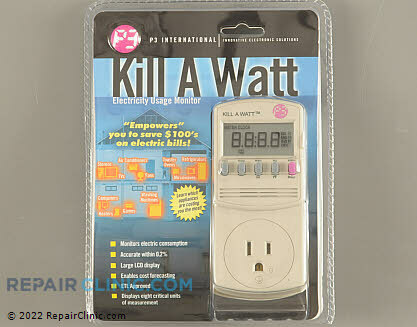 This plug-in meter allows you to track total power consumption by hour, day, week, month, or year. Also displays Voltage (V), Line Frequency (Hz), and Power Factor (PF). 15 amp maximum. No batteries required. Accepts standard 110 volt plugs, 2 or 3 prong.